How much is Andrew Friedman Worth? Andrew Friedman Net Worth: Andrew Friedman is an American businessman who has a net worth of $10 million. Andrew Friedman was born in Houston, Texas in November 1976. Friedman is the President of Baseball Operations for the Los Angeles Dodgers of Major League Baseball. He attended Tulane University on a baseball scholarship and earned a B.S. in management at Tulane's Freeman School of Business. 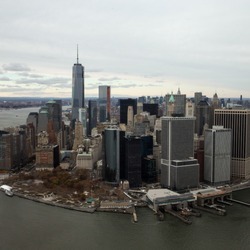 After becoming injured he worked as an analyst with Bear Stearns from 1999 to 2002 and was an associate at private equity firm MidMark Capital from 2002 to 2004. Friedman next served as the Director of Baseball Operations for the Tampa Bay Rays from 2004 to 2005. After the 2005 season he was promoted to Executive Vice President of Baseball Operations and General Manager. His rebuilding paid off when the Rays made the playoffs for the first time in 2008 when they reached the World Series. Friedman was named Baseball Executive of the Year by Sporting News. The Rays continued to reach the playoffs in 2010, 2011, and 2013. Friedman left the Rays to become President of Baseball Operations for the Los Angeles Dodgers in October 2014. 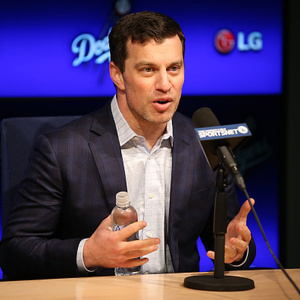 Friedman stated that Dodgers manager Don Mattingly will keep his job for the 2015 season after the team lost in the NL Division Series.